Tefillin. One of the most significant Mitzvot of the Torah. The daily laying of Tefillin has been observed and treasured for thousands of years, right down to the present day. 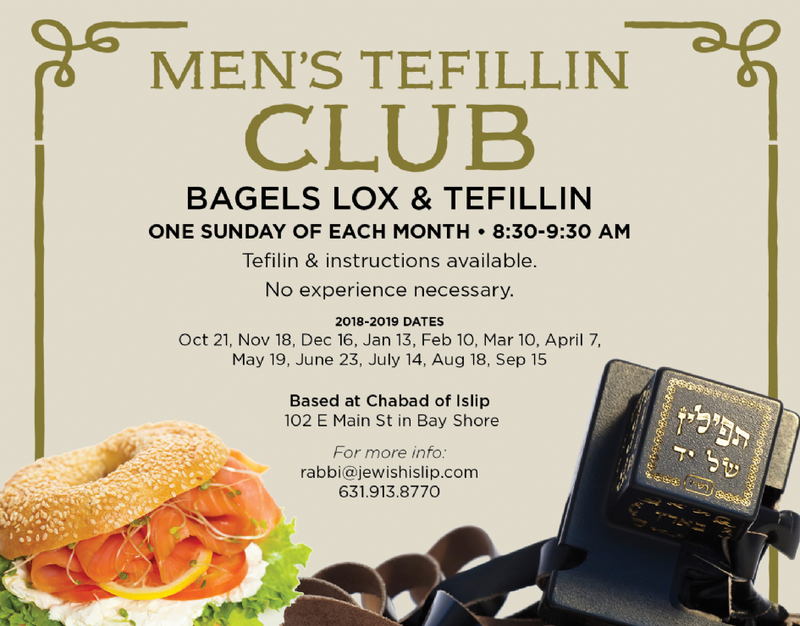 Start each month in a holy way as we take the opportunity to fulfill the important Mitzvah of putting on Tefillin. Enjoy bagels, lox & cream cheese, with a cup of freshly brewed coffee & good shmooze. It just takes a few minutes...you'll feel inspired for the rest of the day & week.